Soon after approaching the coastal areas of the central regions from Quang Tri to Thua Thien-Hue Province, Haitang typhoon has weakened into a tropical depression by the morning of September 27. 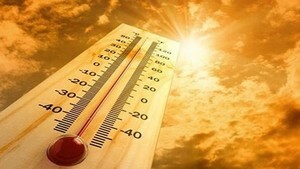 According to the National Hydro Meteorological Forecasting Center, at 7am the storm was centered at 16.9 degrees north latitude and 107.6 degrees east longitude along the coast from Quang Binh to Quang Tri Province. The strongest winds were of level 6 and moving 39-49 kilometers an hour. Within the next 12 hours, the tropical depression is expected to move west northwestwards at 20 kilometers an hour and will continue to shrink into a low pressure zone by the time it touches the borders of China and Laos. Rough conditions prevail in the gulf of Tonkin as a result of the tropical depression. 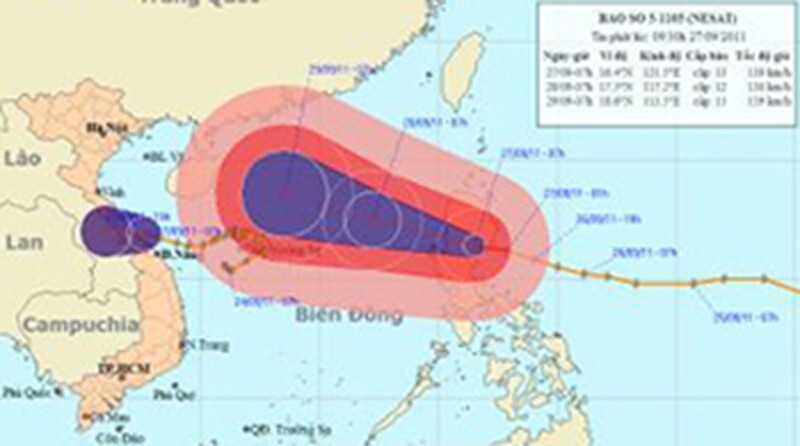 Coastal areas from Ha Tinh to Quang Tri Province are facing strong winds of level 6-7, blowing at 39-61 kilometers an hour. Provinces from Nghe An to Thua Thien-Hue are seeing heavy rainfall. Flood levels on the Kien Giang River at Le Thuy station in Quang Binh Province are flowing at 1.34 meters. 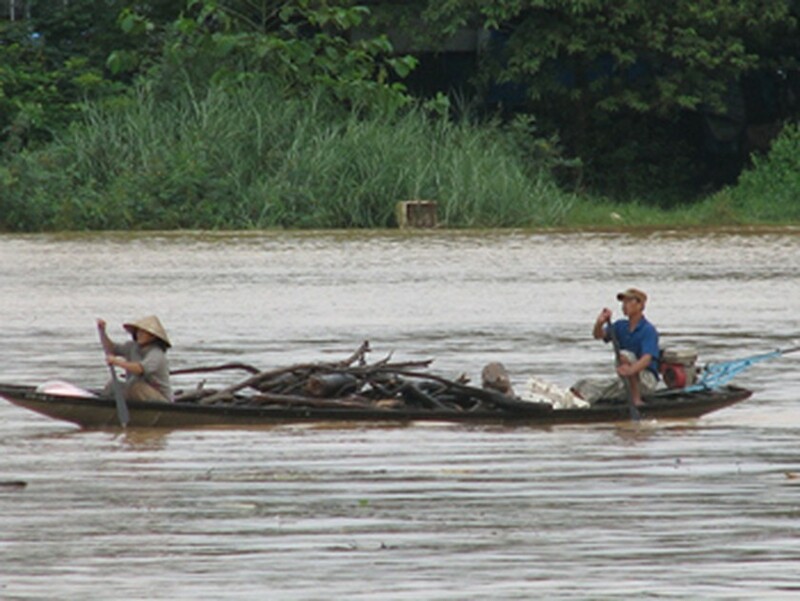 Floodwaters from rivers in Thua Thien-Hue Province have risen above the danger mark. Low lying areas in Phong Dien and Quang Dien Districts are badly inundated. Local authorities are evacuating residents from submerged areas to safer zones. According to the border armed forces in the central region, 31,459 boats with over 147,000 people have been asked to evacuate to safe shelters. Local authorities are focused on completing harvest of the summer-autumn rice crop in flooded areas. Nghe An Province has completed harvesting 36,000 out of 96,000 hectares and Ha Tinh Province has harvested about 17,000 out of 41,000 hectares. However, Quang Nam Province has finished reaping its entire summer-autumn rice crop in Thang Binh, Dien Ban and Phu Ninh Districts.